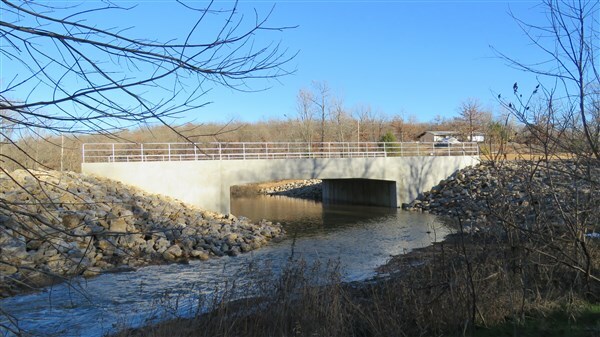 Osage County and GUY Engineering celebrated the completion of Bridge #280 over Tributary to Delaware Creek with a ribbon cutting on January 23. 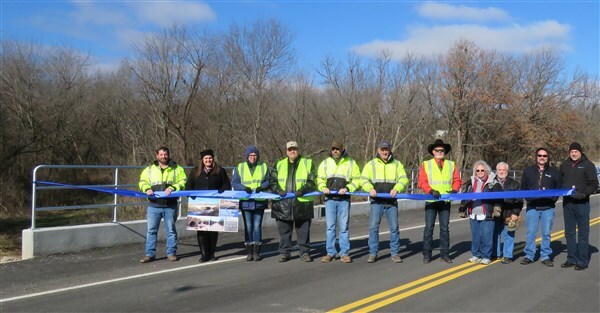 District 2 Commissioner Kevin Paslay cut the ribbon on the new $683,000 bridge, which was funded through the County Improvements for Roads and Bridges (state funding). 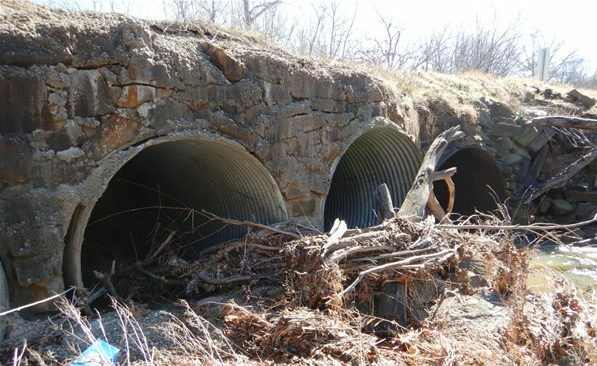 The old Bridge #280, built in 1993, consisted of metal pipes that were not sufficient for water flow in the area and were frequently overtopped. In addition, the bridge was structurally deficient. The new bridge is a 40ft long precast frame bridge with 600ft of approach roadway. It was designed by GUY Engineering and constructed by B&B Bridge Company.